treat acne and the scarring it can leave behind. There are 3 main types of fractional lasers: CO2, Erbium and YSGG. At Imagen we use the Pearl, which is a YSGG laser. Any fractional laser treatment works by removing columns of skin, while leaving behind areas of intact skin. The tiny wounds that are created by the laser stimulate a healing response, activating collagen production and bringing growth factors to the skin. The intact areas of the skin allow a faster healing time. Generally, the fractional lasers treat about 20% of the surface of the skin with these micro-columns. 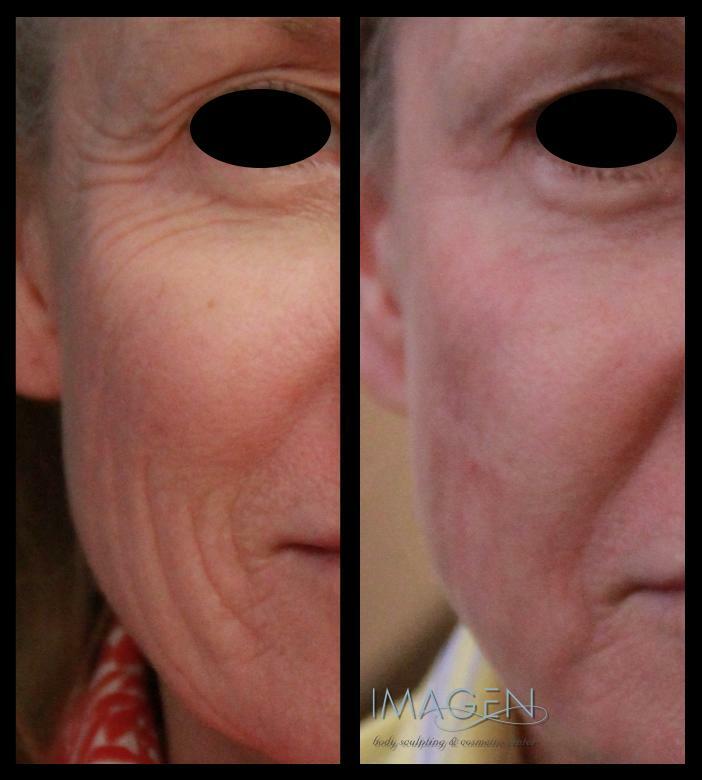 Healing from a fractional laser treatment does take a bit of time. With most types of lasers, you can expect to have 1-2 weeks, most Pearl patients can expect five to seven days of “social downtime.” There is little pain after the first day, but you will have significant redness and you may be somewhat swollen as well. A single Pearl Fractional treatment will give you impressive results. You will notice a change in as little as a week with continued improvement for up to 12 weeks after the treatment. For more information about skin resurfacing or to schedule a complimentary consultation to see if Pearl could be right for you, Call or Contact Us today!